Σχεδιασμένο για ταξίδια τόσο επαγγελματικά όσο και διασκέδασης, το A.I Hotel Nihonbashi είναι ιδανικά τοποθετημένο στη Σταθμός Τόκιο, μια από τις διασημότερες περιοχές της πόλης. Από εδώ, οι επισκέπτες μπορούν να έχουν άμεση πρόσβαση σε όλα όσα η πόλη έχει να προσφέρει. Από τη βολική της τοποθεσία, η ιδιοκτησία προσφέρει εύκολη πρόσβαση σε κορυφαίους προορισμούς της πόλης. Το A.I Hotel Nihonbashi προσφέρει άψογη εξυπηρέτηση και όλες τις βασικές ανέσεις στους ενθουσιώδεις ταξιδιώτες. Για την άνεση και την διευκόλυνση των πελατών, το ξενοδοχείο προσφέρει δωρεάν WiFi σε όλα τα δωμάτια, ημερήσιος καθαρισμός, παράδοση ειδών παντοπωλείου, αυτόματο πλυντήριο, 24ωρη ρεσεψιόν. Το ξενοδοχείο διαθέτει 99 όμορφα διακοσμημένα δωμάτια, πολλά από τα οποία περιλαμβάνουν επίπεδη τηλεόραση, μοκέτα, κρεμάστρα ρούχων, λευκά είδη, καθρέφτης. Εξάλλου, το ξενοδοχείο διοργανώνει πολλά ψυχαγωγικά δρώμενα έτσι ώστε να έχετε πολλά πράγματα να κάνετε κατά τη διαμονή σας. Με την ιδανική του τοποθεσία και τις καταπληκτικές του υπηρεσίες, το A.I Hotel Nihonbashi θα σας ευχαριστήσει σε πολλά πράγματα. Εκτελούνται έργα στο κατάλυμα από 1 Απριλίου έως 31 Αυγούστου 2019. Σε αυτό το διάστημα μερικοί χώροι επηρεάζονται από τον θόρυβο. Nihonbashi is basically a business area so it happens to be a bit scary walking alone from subway station to the hotel at night after 08:00pm as office hour end already, yet it is quite enough. I presumed the location is near from subway yet I still haven't figure out the nearest subway exit to the hotel until the last day I stayed. Staffs at front desk are nice and helpful enough to fulfill your request with their best effort. Facilities are new and clean, supplies are enough. Great experience staying here. Thank you for your feedback Mr. / Miss Yu. We are glad to know that you enjoyed your stay at our hotel. If you would like to visit us again, remember that there are different train stations near to the hotel: Ningyocho, Bakurocho, Kodenmacho, Bakuroyokoyama, and Higashi Nihonbashi. Please take the one that suits best your plans, these are all about 10 minutes from the hotel, so not too far from us and very convenient to travel all around Tokyo and even outside. Thank you very much for staying with us! Strategically located among various metro lines. Room was very clean, comfortable, and spacious despite the slightly smallish bathroom, but that's okay! Staff is friendly and courteous. Thank you AI Hotel! Thank you very much for staying with us, and for providing some feedback, Mr. Arif. We are very glad to know that you had a pleasant stay at our hotel. From now we will keep on improving our services and installations, so please check our website for any news. Thank you very much for your feedback, Miss Kate. We are very glad to know that you liked our hotel. Hopefully you would like to visit us soon again. Very friendly staff and super accomodating! Thank you very much for your feedback, Miss Daniele! We are glad to know that you liked our hotel, and hope that you had a pleasant stay in Tokyo. Please feel welcome to visit us again anytime you wish. The building itself is still rather new so it's very clean. Rooms have all the basic amenities. Room itself is actually very spacious for a budget hotel, literally twice the space compared to other budget hotels I have stayed at before. Location wise it's not the most conveniently located hotel. it's about a 8 minute walk to Kodemmacho Subway station on the Hibiya line. Hibiya line does not go to most of the places I needed to get to so it involved getting off at Akihabara station to transfer to the main train lines. Food places in the immediate area are limited and some close early. There are 4 supermarkets around the hotel and offer food items for cheap. Thank you very much for your feedback, Mr. Justin. Regarding the transportation services, we could have advised you about it, so we are very sorry that you could not travel conveniently to the places that you wanted to visit. Actually, our hotel is located between Kodenmacho, Ningyocho, Bakuroyokoyama, Higashi Nihonbashi, and Bakurocho stations. Therefore, there are many ways to travel around Tokio in a comfortable and cheap way. Next time please ask anything you need to our staff! I found this hotel a terrific place with exceptional staff who spoke good English and your requests for assistance was never to hard. The room was clean and a good size by Japanese standard. The train stations where no more than 10 minutes walk. Felt very safe walking around at night. Plenty of terrific little restaurants/ bars also near. Room is cheap, spacious, staff are friendly, EVERYTHING you could ask for in a hotel~! Thank you very much for your feedback, Mr. / Miss WanJong. We are glad to know that you lied our hotel, and that you had a pleasant stay in Tokio. Please feel welcome to stay with us again at anytime. Very good location, walkable from Tokyo stn if light luggage. Lots of eating nearby. Very good. Thank you very much for your feedback and for choosing our hotel, Mr. Richard. We are glad to know that our hotel was convenient for you, and hope that you would like to stay with us again sometime. I've stayed in a few hotels in Japan. This was one of the best for size and layout of the room. Plenty of room. Laundry facilities on 9th floor. Transport and restaurants close by and a good all round location in Tokyo. If I had to say anything negative , it would be about the bath/shower... as usual, shower over bath set up but bath had a slight 'kidney' shape which made showering very tight but to be honest, after having stayed in poky little rooms, this was fantastic. and 5 minutes of slight awkwardness while I showered was a drop in the ocean. I highly recommend this hotel. Thank you very much for your feedback, Mr. Wayne. As you said, the bathroom in our hotel is quite small, however, this is actually the standard size in most business Japanese hotels, and therefore, we can only try to keep improving the quality of the amenities or the cleanness of the room to make up for it. 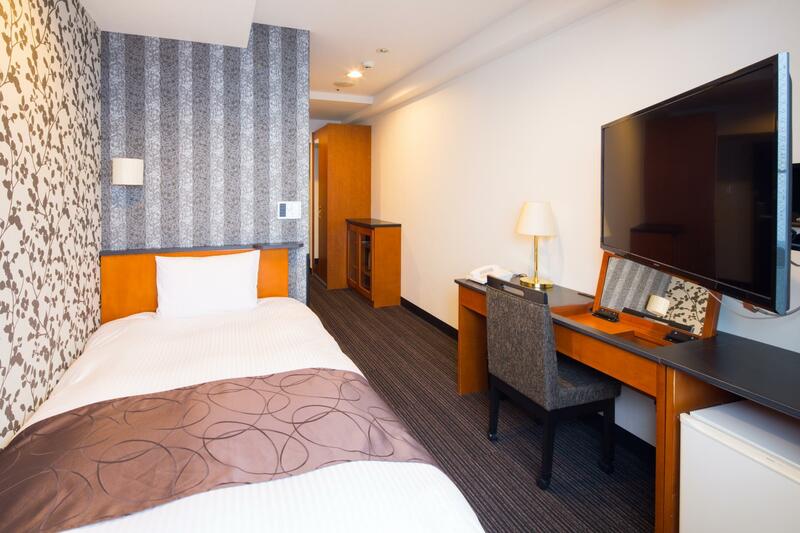 We are very glad to know that despite this, you were able to have a pleasant stay in AI Hotel Nihonbashi. Please feel free to come back to visit us anytime! The price is quite reasonable and also room is bigger than other compare with the same price. or higher. The location quite quiet area. Not too far from station even JR or Metro. Toilet quite smaller than other a bit. Thank you for your feedback, Mr. Krirk-kij. We hope that you enjoyed your stay at our hotel despite that the room was a bit smaller than needed. 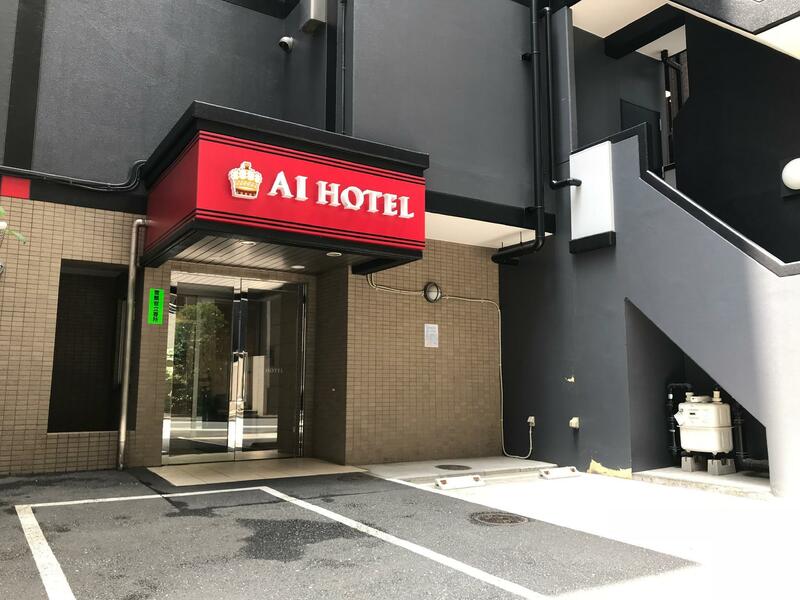 AI Hotel is still quite a new brand of hotels, and we are trying little by little to improve our services and installations. Hopefully you would like to visit us sometime again. For the price paid, hotel is acceptable. It’s conveniently located between a few different subway line and JR stations. We had a few day trips out of Tokyo and the hotel allowed us to leave the large luggage with them during these trips. But the extra blanket in each of the 6 rooms we slept in all didn’t have clean cover, and despite asking for them to be changed, they remained badly-stained. Thank you for your feedback, Mr. Alvin. We are sorry that during your stay you were not able to find enough restaurants near the hotel. If you had asked us, we could have informed you about Ningyocho, which is 7 minutes by walk from the hotel, and has plenty of restaurants and cafes around. In any case, we hope that you were able to enjoy your stay in Tokyo. Thank you for staying with us! Good location, many restaurants near by, room is clean and the bed is comfortable. There is a closet and hangers. Electric hot pot for mornings coffee or tea. I wish the bath room is bigger. The shower curtains kept clinging on me during my shower. Warning: cleaning ladies did interrupt my during my visit. Suggest to leave your room by 10am or to be sure your bar lock is on so she cannot open the door all the way and know guests are still inside. Thank you very much for your feedback, Miss Christie. We are very sorry that our staff came into your room for cleaning while you were inside. Actually, if the customer has not handed the room card to the reception staff in the morning, the cleaning service has no permission to enter any room that is booked. We will try our best that it does not happen again. Regarding the bathroom, it is actually the same as most Japanese business hotels, therefore, it can be small for some customers. In any case, we hope that you enjoyed your stay at our hotel. As said, our hotel is only 2 years old, so little by little we will try to improve our services. Pretty surprised by how big the room is considering it was a budget hotel. The bed was comfy. TV had many channels. However, toilet was a little small and dimly lit. I don't mind the space but could pretty much use a better lighting. I had trouble adjusting the faucet for the shower because the water temperatute was either too hot or too cold. Other than that, for the price I paid, couldn't complain much as basic necessities were met, even had Shiseido shampoo, conditioner and body soap in it. I do however find the location to be a little tricky as when night falls, the area was pretty much dead and quiet. It gets a little scary to walked back to the hotel around 11pm+ as a solo traveller like me. It was near JR Bakurocho station which makes it easier for me to get a direct train to Narita airport. It was however nearer to Akihabara. The front desk receptionist was the most friendliest person I met. I didn't get his name but he explained and guided me the ways around the area in which it was so helpful! Even asked about my day when I came back after a long day! Thank you very much for your feedback, Mr. Taku. We are glad to know that our hotel was suitable for your business purposes. Hopefully you were able to have a pleasant stay here in Tokyo. Please feel welcome to come again at any time. Very good location. Everything fine. Thank you for your feedback, Mr. Richard. We are a bit far from UK, but if you would like to visit us again, we would be very glad to see you again! Thank you for having chosen our hotel. - In the middle of 4 metro/JR, easy for traveling with them. - Good facilities, have everything you need including a heatable toilet seat. - Safe, can easily walk even it's almost midnight. - Silent, no disturbing noise from other rooms. A little concern is about cleanliness, everything is clean except a cover sheet/bed which cause me little itchiness after staying. Staff were helpful. They sent me back an email that my request for my room was already prepared. I got large room, didn't expect that. The room was also clean and you can find pajamas, hair dryer, and water boiler (but no bottles of water). The location is very quite at night because it is a business hotel surrounded by office buildings (I went there during weekend), but you can find this hotel easily, it's only 5 min walk from Kodemmacho Station. Stayed three nights in this hotel and I enjoyed the location a lot. It was close to many restaurants and traditional shops, but I didn't hear much noise. The front desk staff were helpful & courteous. It was a good place for the price I paid! Thank you very much for your stay and review. We are so happy to hear good things by you. We hope that you spent a good time here and enjoyed Japan a lot. If you had an opportunity to come to Japan, we'd expect to see you again and hope to see you then. Thank you so much and appreciate. Σταθμός Υπόγειου Σιδηρόδρομου Kodenmacho στα 0.29 χλμ.